On Oct. 21, 2005 Shannon and Chris welcomed a beautiful baby boynamed Teigan into their family. For two years life seemed normal. Then on Teigan’s second birthday, a large, protruding bruise appeared on his ribs. Thinking their son had a broken rib, Teigan’s parents rushed him to the emergency room at Children’s Hospital at Erlanger. The ER staff found something unexpected. Preliminary blood work showed that Teigan had a bleeding disorder. 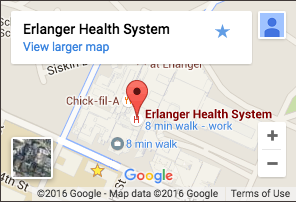 He was then referred to Erlanger’s Pediatric Hematology and Oncology clinic for more blood work. To everyone’s surprise, tests revealed that Teigan had lived a full two years with severe hemophilia B, a genetic disorder where the blood doesn’t clot properly. It was a scary situation, but the family made a commitment to move forward. Between the two of them, the boys have had 7 hospitalizations and 6 surgeries. The hard part is that even simple surgery or a minor fracture, which would normally be an outpatient procedure, requires that they stay in the hospital. Teigan recently spent a week in the hospital for strep throat and an abscess on his tonsils. But these challenges haven’t slowed the boys down. Teigan now plays baseball, basketball, tennis, and golf. And Raleigh is trying out for basketball this year and also plays baseball, tennis, and golf. They are honor students who love swimming, fishing, and hunting and also running around on their grandparent’s farm. Both boys speak openly about hemophilia and do not let anyone or anything hold them back. They are extremely remarkable kids, and Shannon and Chris could not be more proud.